Funny what we find at the bottom of our catchall baskets. In fact, it’s probably time I go through mine. What a fun trip down memory lane this must’ve been for you. How sweet! Yes, this was very sweet. 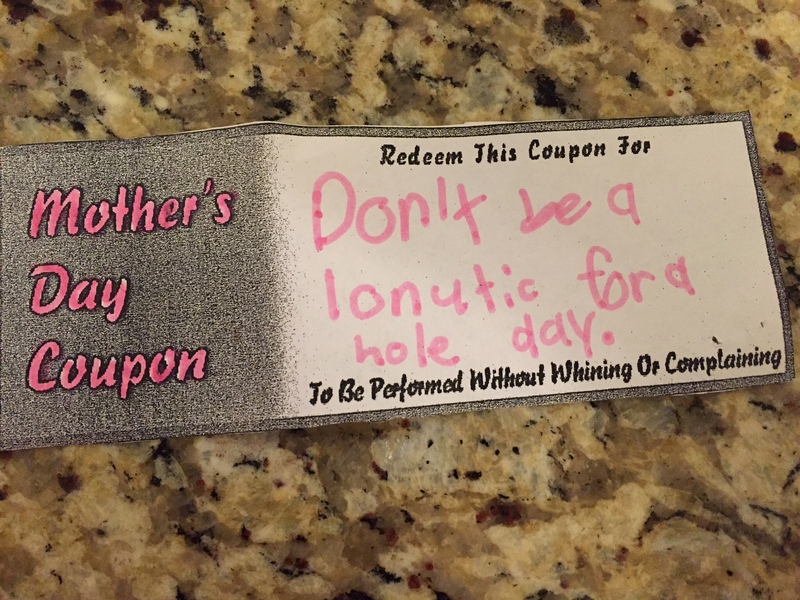 Older Son’s girlfriend and I agreed, though: “Free Anything” probably was last, when he had no idea what else to offer. 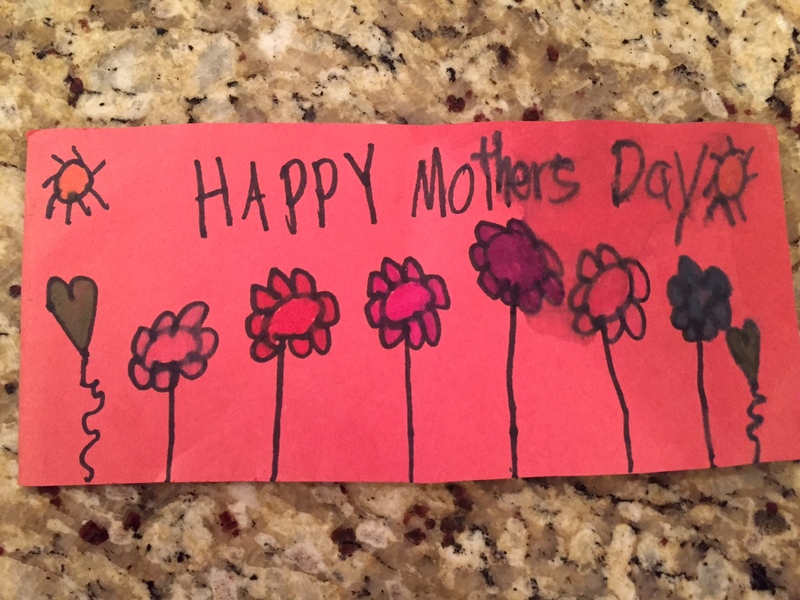 I love my “mommy gifts from school.” Happy Mother’s Day, Carrie! 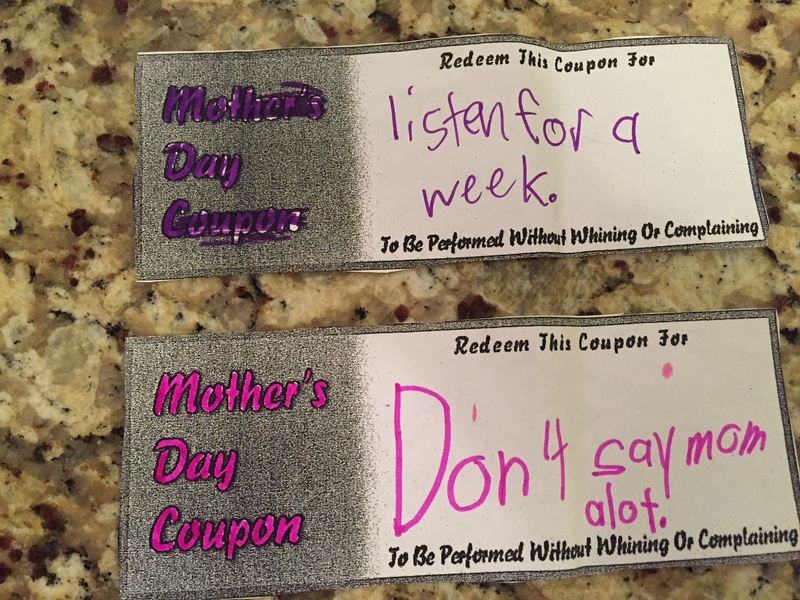 I remember when my daughter used to make these. 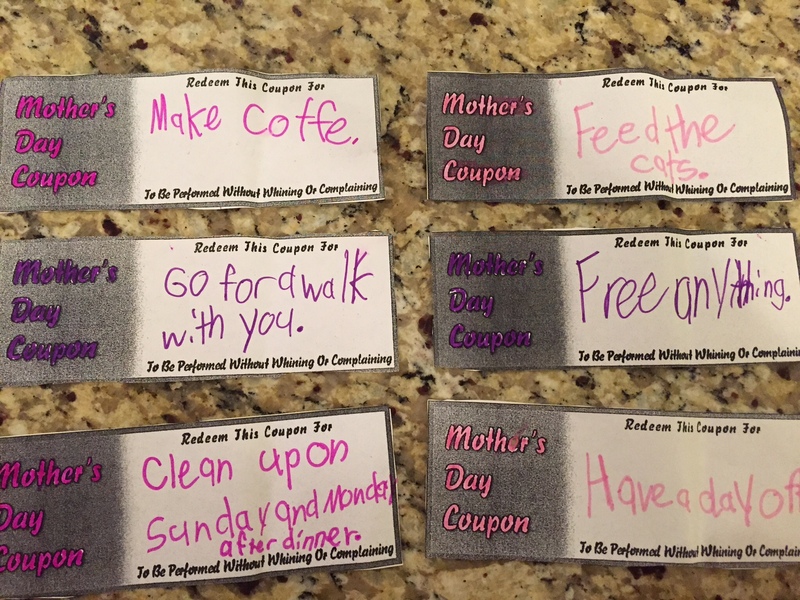 It was a big deal and funny isn't it, when kids write out a coupon promise, they stick to it. Well, for the most part. They are better than television–unless one is trying to relax, lol. Hope you enjoyed your Mother’s Day, Tess. Thank you, yes I did. How about you. Did the m.e.n. in your household pamper you? Not sure about pampered, lol, but they were kind and ridiculously generous with their gifts and flowers. That works, right? I’m not complaining, but Hubby went a bit overboard. Sigh. What can one expect from the Leo she prayed for, lol.